Summary: Nine of us came here. We look like you. We talk like you. We live among you. But we are not you. We can do things you dream of doing. We have powers you dream of having. We are stronger and faster than anything you have ever seen. We are the superheroes you worship in movies and comic books—but we are real. My Thoughts: Honestly, I had this one referred to me after a few friends read my review of The Hunger Games. They thought I would enjoy this one as well. Honestly, I felt it was nowhere near as great as The Hunger Games. We are introduced to John (his name changes occasionally) when they run. He is being chased by people from his home planet but they are bad people! They have already killed 3 other people and he is next. They all must be killed in order. John is just starting to develop his legacies so he isn't up to a full on battle right now. Honestly, I don't want to give away the whole book so this is going to be a short review and my opinion at that. 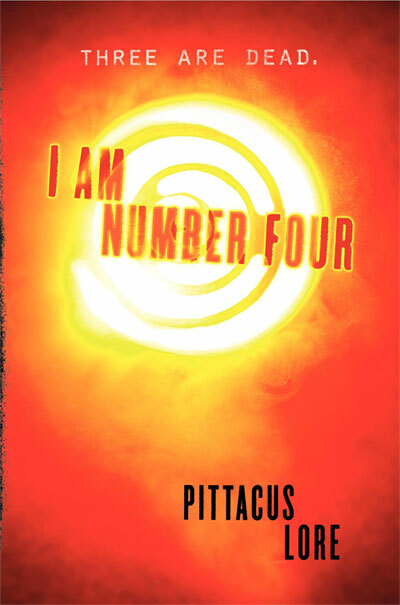 I liked I Am Number Four but I didn't love it and I really didn't love love love it. It was just okay in my opinion. I felt myself bored at times and would put it down and start something else. If you follow my reviews than you know that I can easily finish a book in a day and not start another one until that book is finished. It took me about a week to finish this book because I would pick it up and read 50 pages and than set it back down to read something else. It was easy to read and a breeze to get through but I didn't feel myself very intrigued. A lot of people will love this one but it just wasn't for me. If your a big fan of scifi you'll probably enjoy it. If your fascinated by aliens you'll most likely enjoy it. If you loved The Hunger Games or want something really deep to read, you might not like this.At over 400 pages, it just felt too long and drawn out. Will I see the movie when it comes out? Yes. Will I see it in the theater? Probably not. The positive it has the actress from Glee in it, so I'll at least recognize one of the characters. Overall: It was just alright. Not the best book I've ever read, but not the worst either.And I'm giving it 3 cupcakes because it was a unique storyline, the characters were likable, and it was easy to read. Cover: I do like the cover. I'm not a big fan of orange but it does stand out! oh man! I was wanting to read this soon too! I thought this was just ok as well. Although the description makes it sound great. I think the preview for the movie looks good too! I don't know what to make of it since I didn't think the book was outstanding. Quite the controversy that has popped up over this book, what with James Frey (of A Million Little Pieces fame) going out and hiring Jobie Hunter to write the book with a contract stating Hunter would never get credit for the book. I will be buying this one.